DRC advances to the final stage of negotiations before launching the Mai-Ndombe Emission Reductions Programme. This is a WWF statement responding to the World Bank’s provisional approval of the Democratic Republic of Congo’s Emissions Reduction Programme Document (ERPD), representing the first example of jurisdictional REDD+ at scale and the largest forest landscape conservation project ever in Africa. 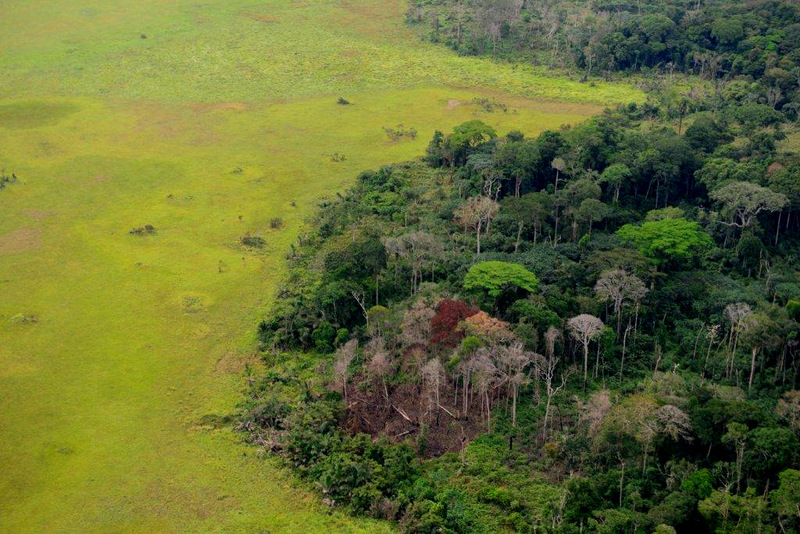 The programme will target the drivers of deforestation in almost 10 million hectares of tropical forests in Mai-Ndombe province, north of Kinshasa. Supported by Norad, USAID and German cooperation, WWF has been an active stakeholder in the programme since its inception in 2010, contributing technical support, facilitating an open and transparent participatory process and working with the DRC government, the private sector, Indigenous Peoples and local communities to ensure active participation and consultation from all stakeholders. The Democratic Republic of Congo (DRC) today advanced to the final stage of negotiations before launching the Mai-Ndombe Emission Reductions Programme. The programme, supported by the World Bank’s Forest Carbon Partnership Facility, offers an unparalleled conservation opportunity for forests and for people in the DRC, and WWF is working to ensure the right safeguards will be put in place allowing transparency and effective participation throughout the program’s life. “This represents a major step toward an integrated approach where communities and Indigenous People, along with other stakeholders, will have the opportunity to collaborate for the same objective and get direct benefits from their conservation actions,” said Bruno Perodeau, Conservation Director, WWF-DRC. The Congo Basin is home to the second-largest tropical rainforest in the world and to some of the most important areas of biodiversity on earth. But these forests are under increasing threat. DRC has the highest deforestation in the region, averaging 6-7 million hectares since 2000. The Mai-Ndombe region comprises almost 10 million hectares of pristine forest, which is under increasing pressure from shifting cultivation, informal logging, and charcoal production – all exacerbated by demand from rapidly growing capital Kinshasa and its 10 million inhabitants. 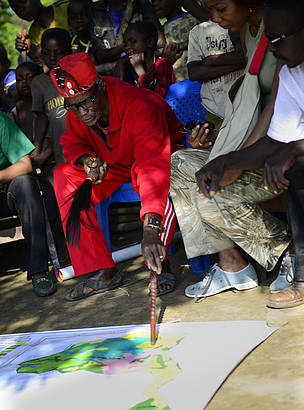 Developed through a highly participatory process, the US $200 million Mai-Ndombe Emission Reductions Programme presents an important opportunity to reduce deforestation and forest degradation by half in this province and preserve its important biodiversity while providing new economic opportunities, land use rights and empowerment to up to 2 million people. It also has the potential to prevent 29 million tonnes of carbon dioxide from being emitted over the next five years. The programme addresses climate change, poverty reduction, natural resource conservation and biodiversity protection. Using incentives for positive results, it directly compensates communities for maintaining and managing their forests. For the program to be effective, it is critical to ensure that there is transparency in carbon accounting, a robust participatory process and safeguards that ensure positive results for the region’s Indigenous Peoples and local communities. WWF has been involved in the programme since its inception in 2010, contributing technical support, facilitating an open and transparent participatory process, and building capacity among a diverse group of stakeholders – including civil society groups, NGOs, Indigenous Peoples and women’s groups – to ensure broad stakeholder consultation. WWF also played a major role developing guidelines for implementing free, prior, and informed consent (FPIC), which will become a requirement for all REDD+ projects in DRC, and provided training to communities on micro-zoning and land use planning processes to gain recognition for their customary land use and tenure. Local tribal chief in Mai Ndombe region of DRC with land-use map produced with WWF support.